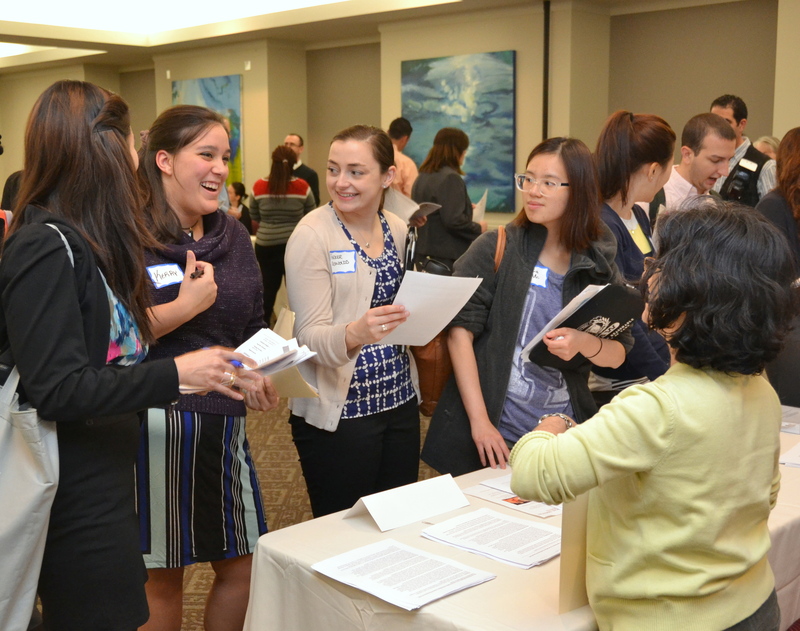 Potential volunteers discussed their interests with a staff member from Prisoners’ Legal Services, a BBF grantee, at the Pro Bono Fair on Monday evening. 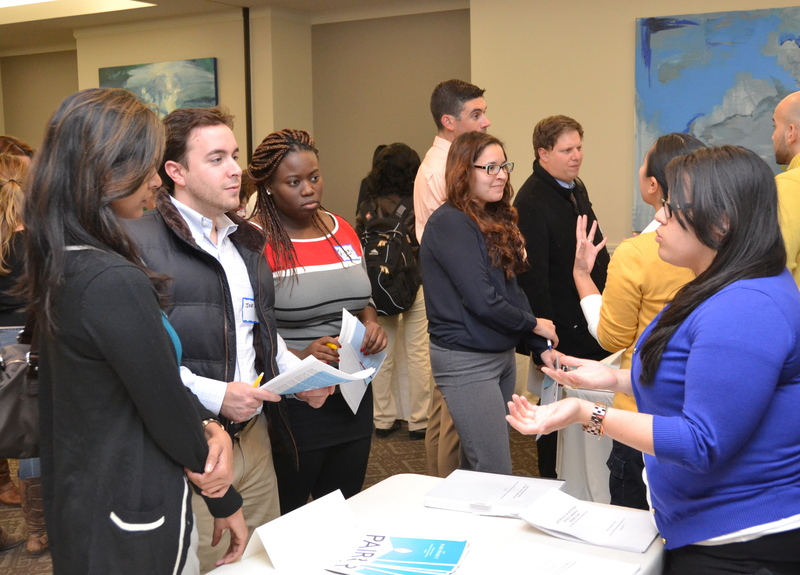 An estimated 250 law students and new lawyers flocked to the Rappaport Center for Law and Public Service at Suffolk Law School on Monday night to learn about pro bono opportunities throughout the city and network with public interest attorneys. 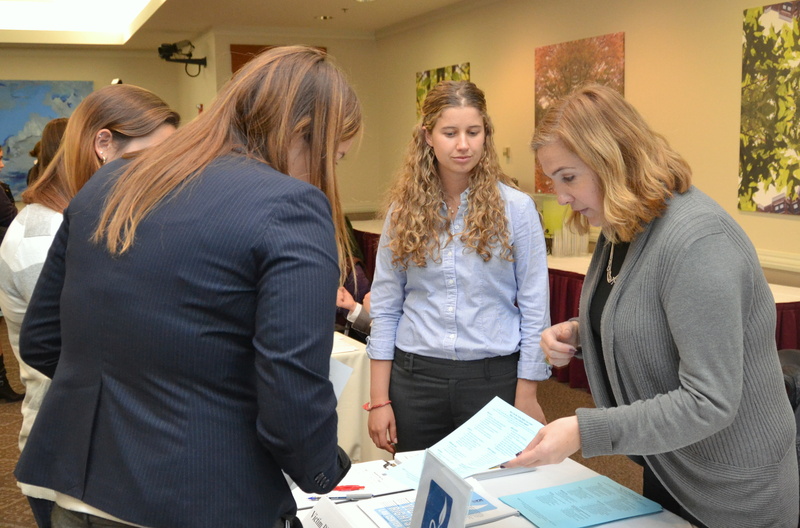 The annual Pro Bono Fair, co-hosted by the BBA and Suffolk University Law Center, featured more than 25 Boston-area legal agencies. 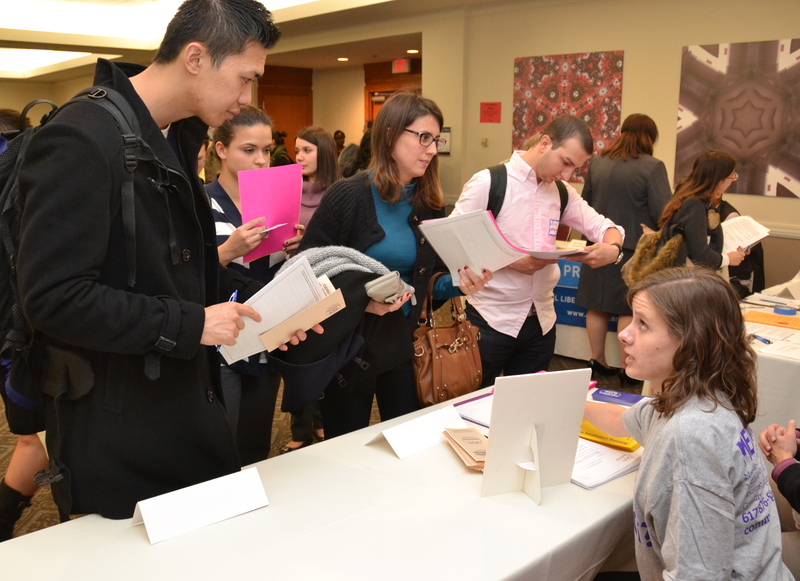 Students listened to ways to get involved in pro bono work through the Political Asylum/Immigration Representation Project (PAIR), a BBF grantee. Staff from the Community Disputes Settlement Center gave interested volunteer more information on how to get involved in pro bono work with their organization. Interested volunteers picked up handouts at the table of the Victim Rights Law Center, a BBF grantee. If you missed the event but are interested in getting involved in pro bono work, click here to view the comprehensive program booklet. For more information on how volunteers help the participating organizations, check out the Voices of the Bar piece from BBA Week last week.